According to the UN’s Food and Agricultural Organization (Statistics Division 2016), a relatively small area of the world, 23 percent of total cropland, accounts for a large proportion of total global cereal production, with most of the area devoted to three major cereal crops: maize (70.3 percent), wheat (69.3 percent), and rice (84.5 percent). 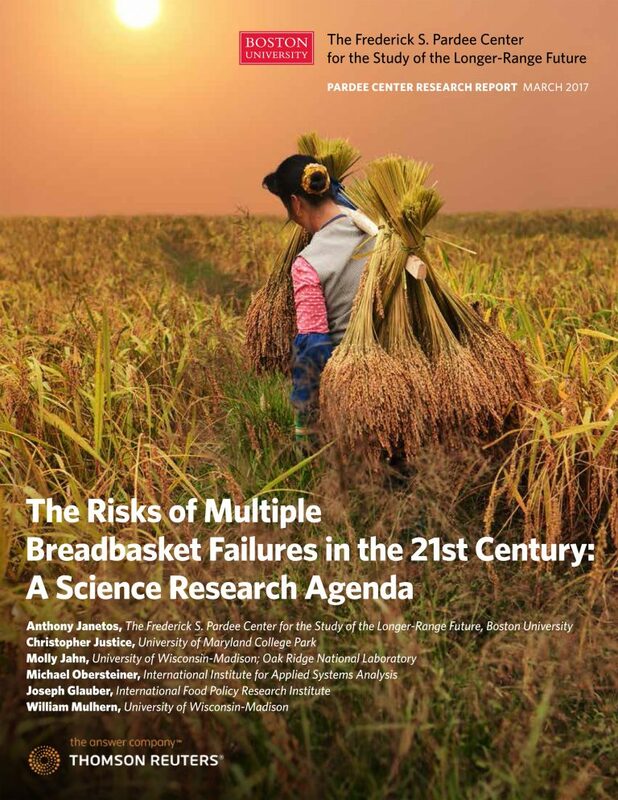 In a recent study of global hotspots of heat stress due to climate change, Teixeira et al (2013) showed areas of Central Asia, East Asia, South Asia, and North America, which include the major grain producing areas of the world, as being particularly vulnerable. The structure of globalized food systems, with major constrictions in trade flows and highly concentrated areas of the world’s food production, creates obvious vulnerabilities. Systematic evaluation of the likelihood of disruptive events in relation to each other and their potential impacts has not been done.